The world's top three listed cannabis companies - Canopy Growth, Tilray and Aurora Cannabis - have a combined market value of around $30 billion. 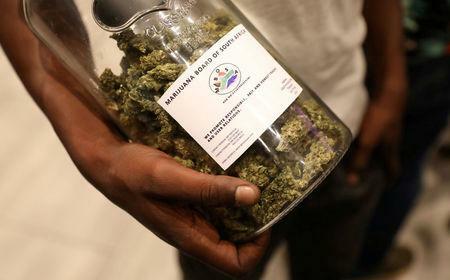 In Africa, where miners met this week for Cape Town's African Mining Indaba conference, cannabis companies are setting up projects in Lesotho, while other countries, including Zimbabwe and South Africa, plan to issue license. "Raising money is extremely difficult," said Patrick Downey, head of Canadian junior gold exploration company Orezone Gold, who compared the cannabis boom to the headwinds juniors faced during the dot-com bubble of the late 1990s.